Fans are super thrilled and freaking out over the news of The Cheetah Girls Reunion. The Cheetah Girls reunion might be happening, finally. Anyone who grew up watching Disney Channel knows the major role The Cheetah Girls played in making your childhood full of fun. In case you don't know, who they are, please let us allow to introduce you to them. The Cheetah Girls were an iconic American female music group formed by Disney. 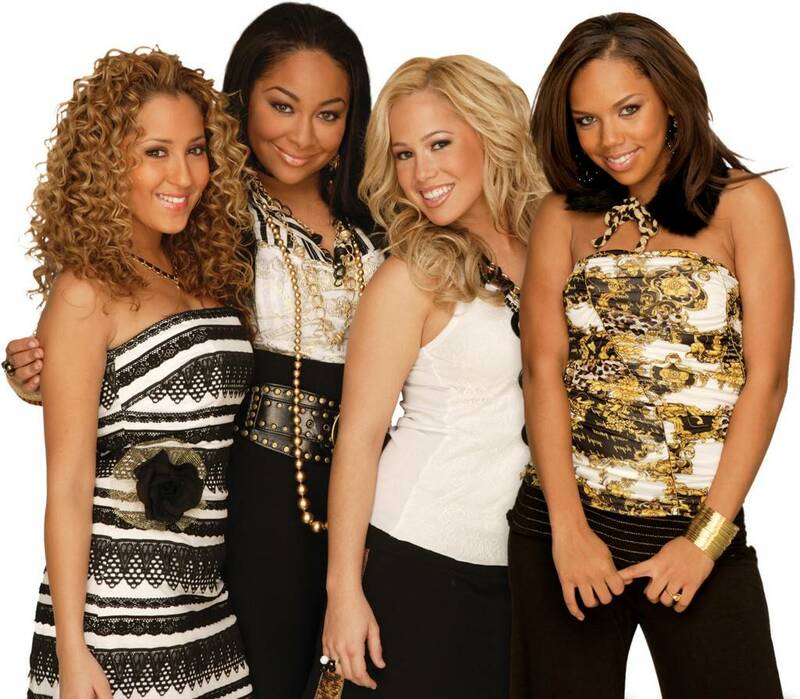 The band members consisted; Adrienne Bailon as Chanel Simmons, Sabrina Bryan as Dorinda Thomas, Kiely Williams as Aquanetta Walker, and Raven-Symone from That’s So Raven as Galleria Garibaldi. Disney's famous girl group The Cheetah Girls. In their career span, before they officially parted ways nearly after six years in 2008, the girls released three studio albums with their numerous songs debuting to Billboard 200 charts, their own Disney film with sequels; The Cheetah Girls 2 and The Cheetah Girls: One World, and had three worldwide music tour from US to Europe to Asia. The music of the girls is not only what contributed to their popularity, but their fashion too. In fact, the girls also delivered their fans by launching their own merchandise including, their own clothing line, several perfumes, dolls, interior decor, video game, and book series. At this point, you should check out their music on youtube. Well, anyway, the thing is that after all these years of their split, all their old fans are totally freaking out on the internet. Because the girls might possibly go for a reunion. Band members; Sabrina and Kiely decided to team up and surprise their fans on social media as they shared a video of the two singing to their famous old song; ‘Cheetah Sisters’. The video shows the pair on Facetime singing in their angelic voices to Kiely’s son. Following the release of the video by Sabrina on her Instagram, where she wrote: "When your bestie @kielywilliams and her little one live so far away you have to get creative on how to spend time together! Lullabies for Baby Rowan!" in the caption, fans couldn't contain their emotion and immediately reacted to it with thousands of overwhelming responses in the comment section. Although the reunion is not confirmed yet, as a matter of fact not even mentioned, fans are demanding for it. One of the fans responded to the video, writing: "PLEASE can we do a 4th!???? Omg Raven...please talk to your Disney people I NEED this in my life. The world needs another powerful diverse moment right now!!! I LEGIT about a month ago went and played the whole soundtrack..can we please omg.."
Whilst another one added: "Can we get a ## or something going on all these Disney ?! Whose attention do we have to get to get a 4th grownup edition cheetah girls movie!?" A third one commented saying: "Preach!!!!! Friendship and love are strong! #breastfeedingpower"
The happy video comes shortly after one of Disney's former music group; Jonas Brothers reunited and made a glorious comeback with new music. And the other great news that follows Miley Cyrus recently debuting a Hannah Montana hairstyle, which completely flipped the internet. So, can the Disney make the reunion of The Cheetah Girls happen?